“Nothing in all the world is more dangerous than sincere ignorance and conscientious stupidity.” Martin Luther King, Jr. Most of us are only interested in tax rates as far as the Union Budget is concerned. However, there is more to the budget which impacts our life. Tax rates are only a part of the overall impact. Now Indirect tax rates are decided by the GST Council. So for the common men, income tax rates are the only area of interest in the Union budget. Not knowing the meaning of budget terms and implications of the budgetary data keeps us ill-informed. Our decisions about the quality of the budget and the Govt are based on only based on tax rates. Income tax and other indirect taxes. This needs to change. People must know the non-tax aspect of the budget. Aware citizen will help the Govt to take more bold and non-populist measures which are in the interest of the country. Higher tax rates with a few measures to boost the economy should be welcome. The boost in the economy will have an overall positive impact. We should be able to see the relevance of the economic measures beyond our myopic tax-centric analysis. Dividend from State-owned banks and RBI. These are all recurring income. In addition, Govt also earns Capital receipt in the form of PSU Disinvestment. Government Running Cost – Departments, Ministries, Armed and Other Forces etc. Mainly these are expenses where no asset creation takes place on expenditure. For example, when the Govt builds a Bridge, an asset of the bridge is created so this is not a revenue expense. But when the salary is paid to the Govt employee, no asset is created. All infrastructure expenses are capital expenses. This is because as a result of the expenses, assets are created. The same is true for individuals. Revenue Receipt – Recurring income like taxes and dividend etc. Capital Receipt – Sale of PSU Shares etc. Revenue Expenses – Day to day Govt running cost, Interest, subsidies etc. Capital Expenses – Infrastructure Building Cost etc. When expenses are higher than revenue, the difference is called Deficit. Revenue Deficit: When estimated income is less than the actual income. Budgeted Revenue is Rs.100/- and Actual Revenue is Rs. 90/-. Rs.10 is the Revenue Deficit. Fiscal Deficit: Total Receipts (A + B) minus Total Expenditure (C+D). Primary Deficit: When we add interest on loans back to the Fiscal Deficit, it becomes Primary Deficit. When revenue is higher than the budgeted revenue it is known as Revenue Surplus. When the revenue is higher than the total expenses it is known as Fiscal Surplus. Indian Govt targets to have 3.3% of the fiscal deficit to GDP for FY 2018-19 lower from 3.5% a year ago. Govt budgetary deficits are financed through borrowings. Govt bonds, investments from the citizen in the form of tax saving schemes, World Bank, and other such agencies. Why Govt mainly runs on Deficits? Govt budgetary surplus means the Govt is collecting more taxes from the citizen. This also means the Govt is investing less in infrastructure. In most countries, Govt runs on a deficit. The key data to know is the percentage of interest in the deficits and percentage of deficits vis a vis the Gross Domestic Product (GDP). Interest component in the expenses should be less. When you earn a salary of Rs. 50,000/- how much you should borrow ideally? If you are borrowing for home loan its an asset creation out of the debt. If you are borrowing for your travel or wedding or even for car its an expense funding. Which is dangerous. The expense will be incurred, no assets will be created, and the debt remains to be repaid. If you are borrowing for home, it is an asset you are creating out of the debt. Which will appreciate and can generate rental income. This is good and therefore the loan is worth borrowing. If the Govt is borrowing to manage the day to day expense and interest payment, it’s dangerous. If the Govt is borrowing to create infrastructure, its good as it can generate income and help the growth of the economy. Having understood the quality of debt it is also important to know how much ideally one should borrow. Even for a home you need not borrow so much so that after the monthly repayment of the loan no money is left for your survival. Same is true for the Govt. A rich person can borrow more as he has a more repaying capacity. US is the 11thrichest country is at 105.40% debt to GDP ratio. Though some experts consider higher budget deficit and higher borrowing of the US both are dangerous not only for the US economy but for the global economy. Singapore occupies 8th position in debt to GDP ratio (110.60%) is the 3rd richest country. Some rich person is risk averse so will borrow more prudently. Denmark 36.40% and is the 20thrichest nation in per capita term. Romania with 35% debt to GDP is 59th in per capita, Kuwait the ratio is 27.10% although the country is rich with Oil reserves, they do not have enough growth opportunities. Their own income is enough to manage the show with minimal debt. The country is the 7th richest in per capita income. A growing person can borrow more as he must invest more in creating more growth capacities. India the ratio is 68.70% and China at 47.60%. China’s development is such that their GDP is on a higher scale than India. China is 79thin per capita income list and India is 122nd. A poor person also can borrow more if someone is there to lend him. Afghanistan is a war-ridden country. Debt to GDP is only 7.6% but per capita income lists the country is 170th. Debt is low because growth is dismal. Greece was under crisis and its debt to GDP ratio is 178.60% and 49thin per capita income list. For Venezuela, the ratio is mere 23% and the country is 96th in per capita income list. There are several factors which play role in debt to GDP ratio. As we have seen above more debt is not necessarily bad. It all depends on what the country does with the debt. Debt – Rs. 82 Lakh Crore. If the tax collection of the Govt. is low or if the subsidies and loan waiver is higher, or if the cost of running the Govt is high. Fiscal Deficit goes up. Govt needs to borrow more to bridge the gap. More borrowing from the market means more demand for money> More demand means costly debt. The rate of interest goes up. The higher rate of interest impact corporate profitability and propels price rise. Higher inflation means an overall high-cost economy. More Govt borrowing not supported by higher growth means the burden of higher interest cost on Govt budget. Which means less money available for the development or more borrowing for development. For the tax collection to go up either the economy should grow faster, or tax rates must be increased. Therefore, tax evasion should be curbed, revenue leakage must be controlled. The economy should be in the growth mode. Land and labour productivity should be improved. Projects are to be executed well within the time and budget. For the growth to accelerate ease of doing business is necessary. Corruption affects all the vital aspect of the economy. Project delays, higher project cost, lower tax collection, misappropriation of Govt resources, less productive manpower, delayed permission, slower growth, higher deficit, slower infrastructure growth. No wonder corruption is called cancer to the economy. Handpicked related post: Why You Need to Know About Inflation? 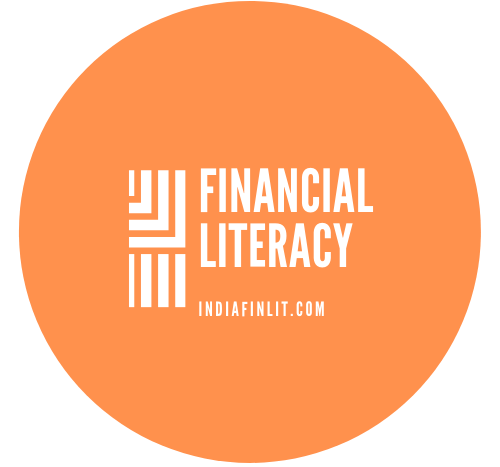 Next ›Why Is Financial Literacy for Women Critical?